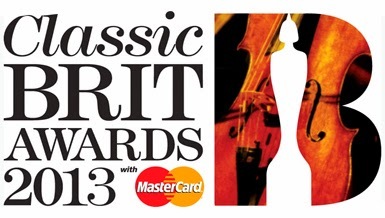 Alfie Boe and Samantha Barks are to perform at this year's Classic Brit Awards which are being held on October 2nd at the Royal Albert Hall. They both previously appeared at the Classic BRIT Awards in 2011 with the cast of Les Miserables. The show is being presented by Myleene Klass with Chinese pianist Lang Lang performing a duet with Nicola Benedetti. He is also to receive the International Artist of the Year award in recognition of his global success as a recording artist and his efforts to increase the popularity of classical music.